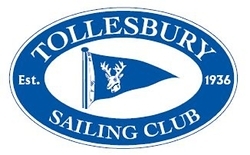 Welcome to the Tollesbury Sailing Club, one of the friendliest clubs on the East Coast. We are quite an informal club located in a little sleepy village called Tollesbury, quite close to the River Blackwater in Essex, England. Both our Dinghy and Cruiser fleets have active sailing programs, which include many race series and associated social events. The main sailing areas for the Dinghies are the sheltered waters of the Tollesbury Fleet, and for the more adventurous, the Blackwater Estuary. Being on the East coast, the Cruisers are spoilt for choice – whether racing or cruising there are many places to visit, near and far. The Club also maintains its links with Tollesbury’s sailing past with its annual Smack and Classic Boat Race.